Some of my friends say that this movie is bad. The others say that this movie is good. That's why after swimming in an apartment that luckily near Epicentrum XXI, I went there to see it for myself. If you ask me about my impressions, I would say that this movie have a potential to be a good movie. The cinematography is good. The acting is generally good. I love Shibasaki Kou and Rinko Kikuchi in this movie. Ah, and also Hiroyuki Sanada. The CGI is quite good but looks really fake in some scenes. I'm pretty sure the depiction of Tengu in this movie is far from the depicted images from Japanese literature. The first half of the movie is too boring, which fortunately become more interesting in the latter half. But I had become lost interest at that time. Furthermore, I don't like the music score and the story went too far from the original. 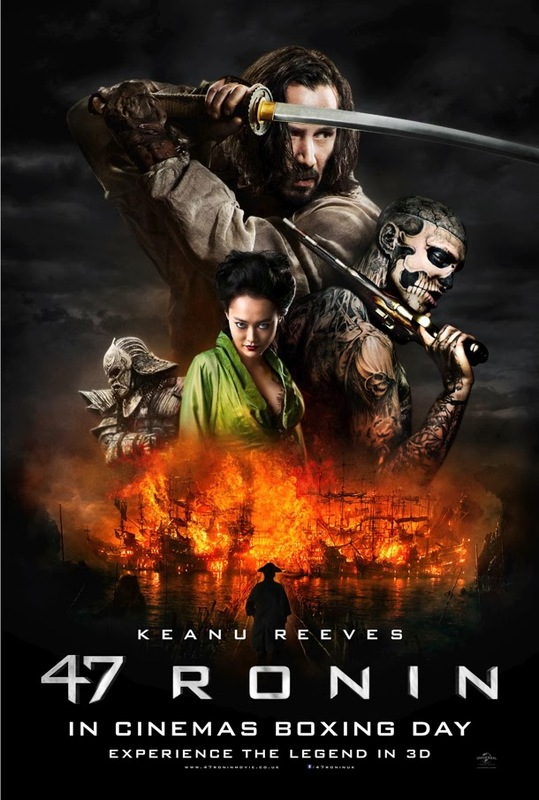 It doesn't have emotional punch that I've expected from a story as classic as 47 Ronin. In the end, you could say that I have a mix opinion about this movie. I won't recommend you to watch it in the cinema. Maybe just rent it later. But I won't said that you better not watch this movie. It's not my cup of tea, but maybe it's yours. Have you watch this movie? Do you agree with me?